The hart of thermolog house is the same as it is in our Eco wooden houses, also features are the same. 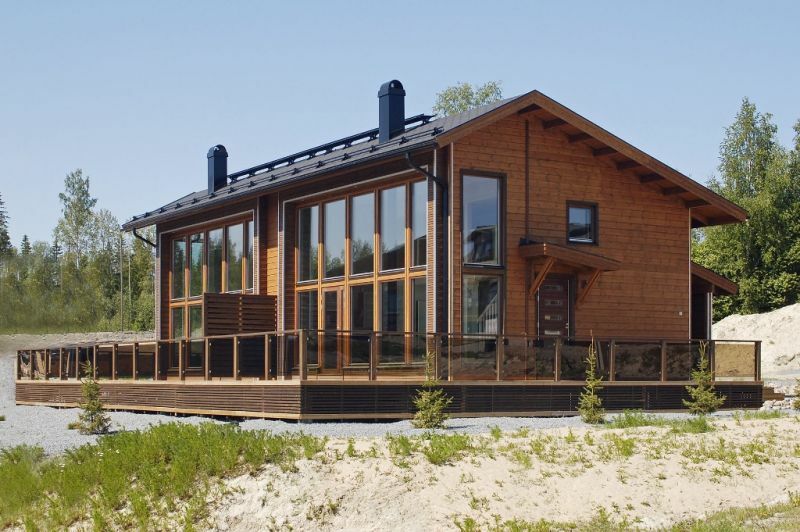 Difference it that the thermolog house has perfect looks of log house. We produce thermolog houses in various combinations of square and laminated logs whit panels and of course with modern city-corners. More photos of this style houses you find in our pages in section Eco Wooden Houses, what is constructional relative with thermolog houses. 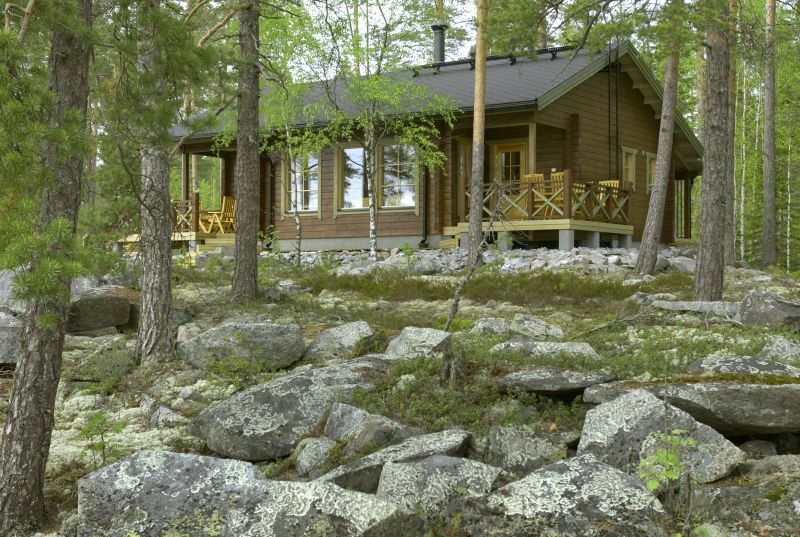 Thermolog house with log corners fits perfectly to nature, but of course the nature itself is in important position too. 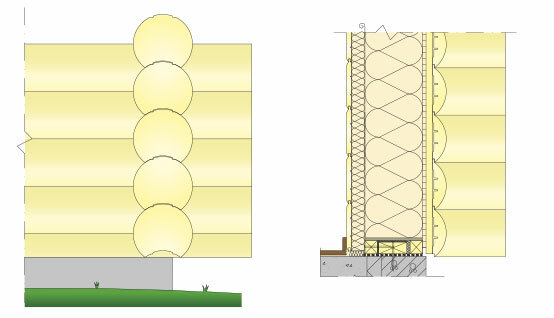 Thermolog construction makes possible to build really multiple shaped houses. A photo from Portuguese assembly team after 5 days from delivery. Underlay of roof is done, root of roof trusses is under paneling works. After couple of days house will be ready from outside. 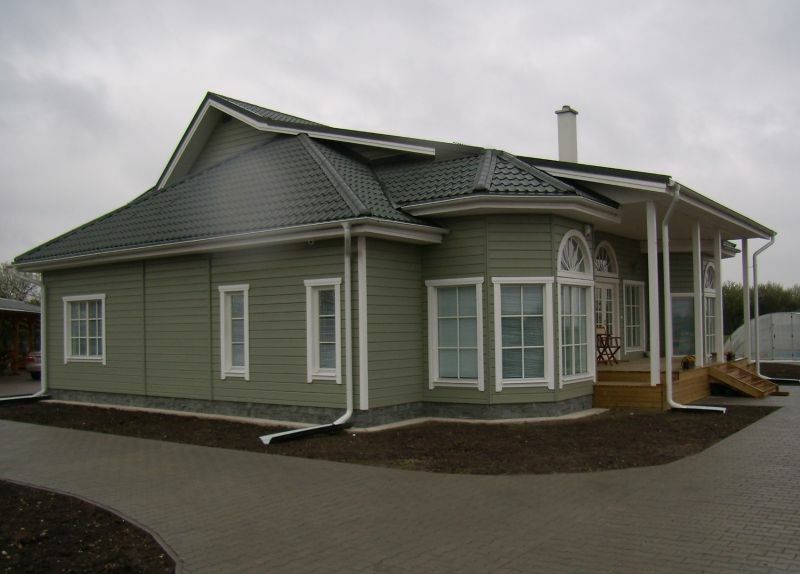 We have more than 15 years of experience about thermolog houses. We came familiar with this construction operating as a subcontractor to most famous thermolog factor and actual developer of thermolog. Since very beginning we manufactured the most demanding and complicated houses what was too difficult to produce in their production line. We also made all constructional design and produced all components to these houses we manufactured. 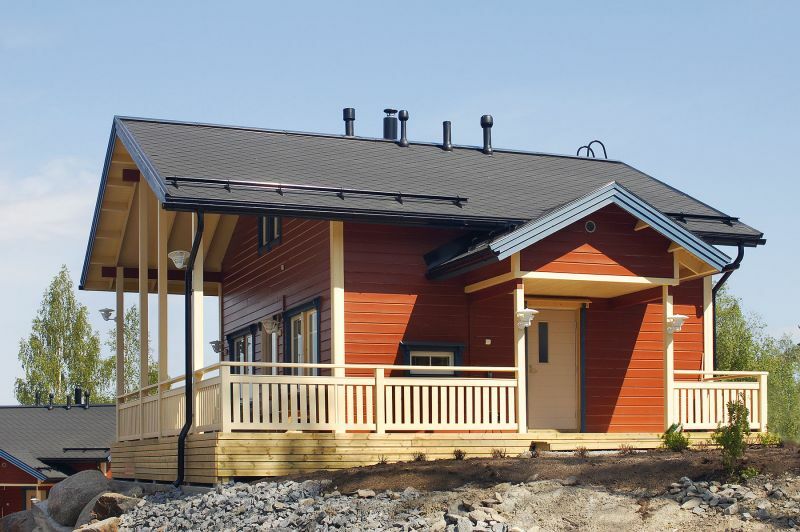 Since this original developer closed their factory in Finland we continue production of the original Finnish thermolog houses. We have skill and knowledge to realize even the most complicated and highly demanding solutions based on long experience. 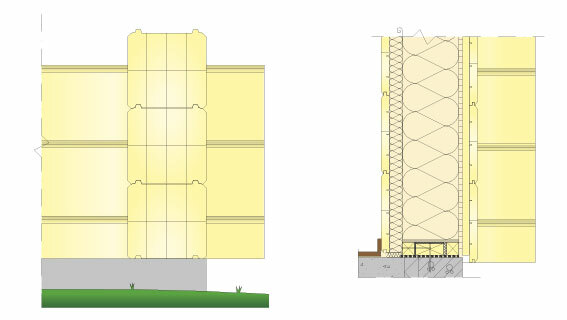 We have no problem with huge large windows or multiple shaped walls to make those as elements. We do not leave difficult parts of the house to be solved in building place by builders, we solve them in our factory before. 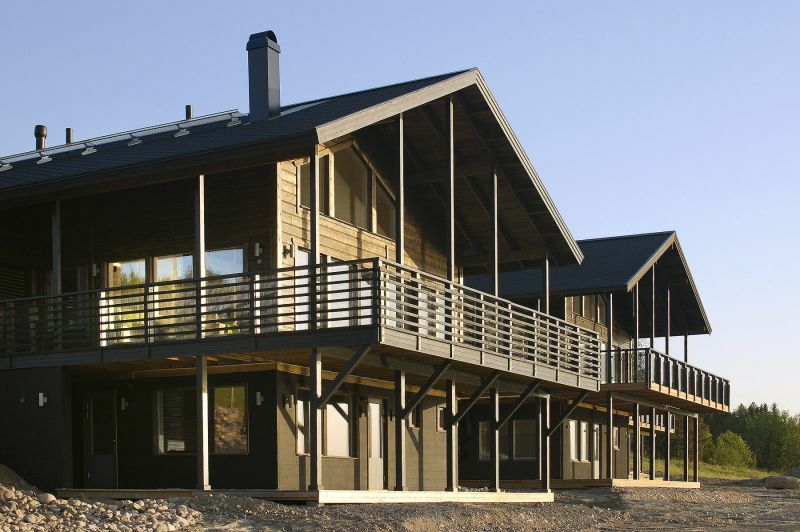 We can proudly say that we can produce thermolog houses with no limits. 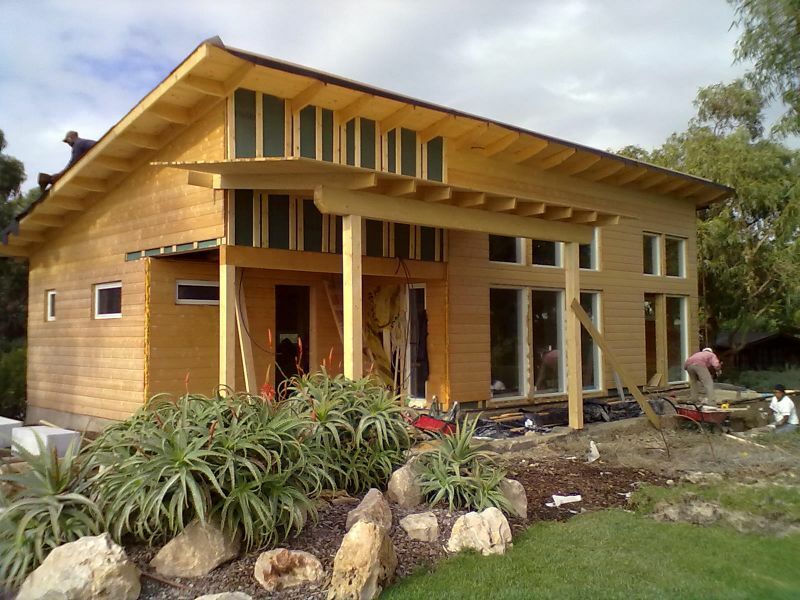 What is difference between Thermolog house and solid, thick laminated log house? Price: For example a 150 m2 house made of 270mm laminated logs cost about the same as same size thermolog house INCLUDING carport. U-value: 270 mm laminated log U-value 0.41, thermolog 198+45 U-value is 0.16. So Ttermolog is 2.5 times more warm than thickest laminated log ! Thermolog is certainly the correct name for this product.